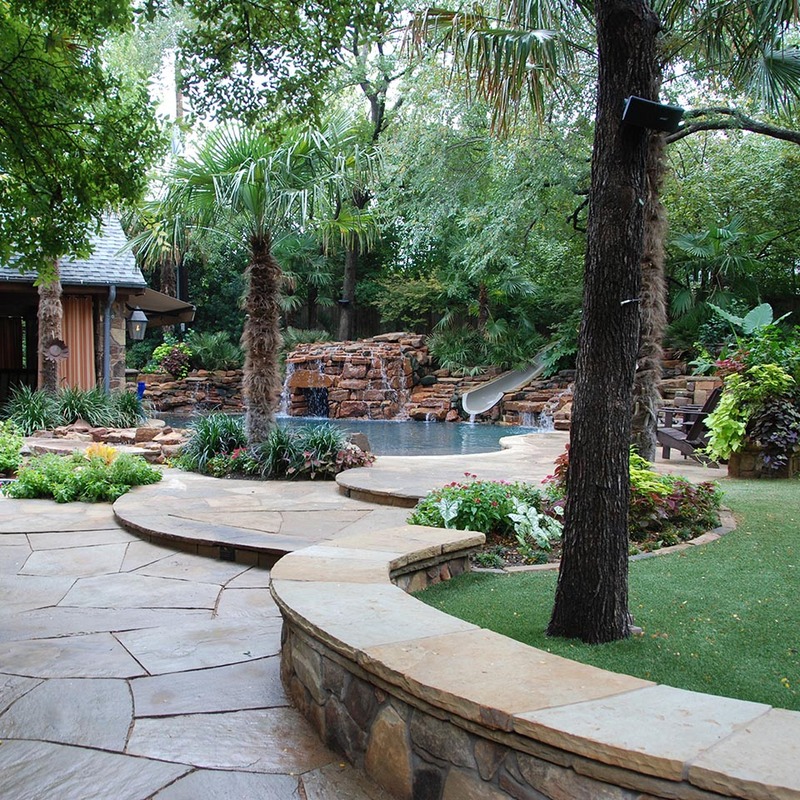 Taking a shady back yard in Preston Hollow and transforming it in to a natural outdoor entertainment retreat. 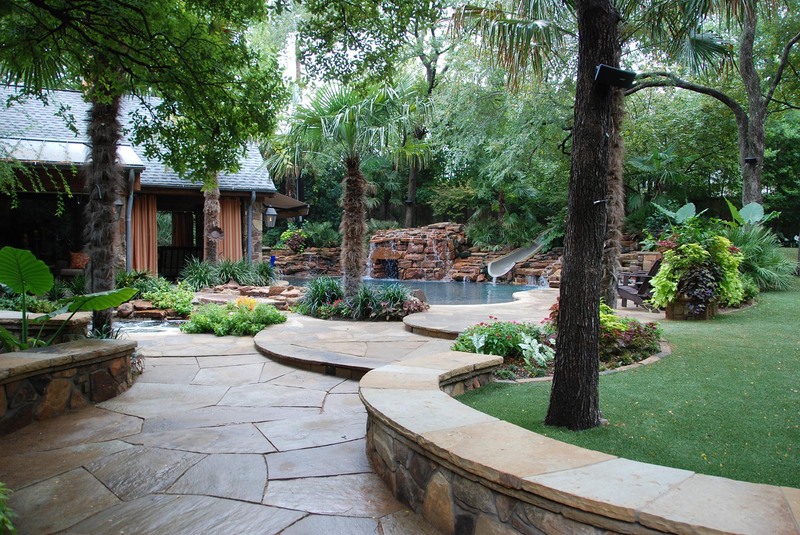 A lagoon pool with mossy boulders and slide is positioned near a detached spa and a luxurious garden pavilion. 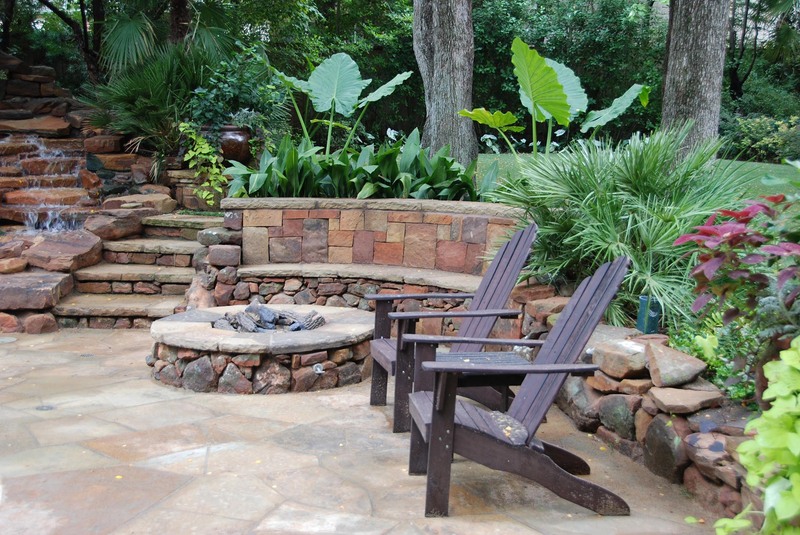 The pavilion features an outdoor kitchen, shade curtains, sauna and elevated bar area for outdoor entertainment. 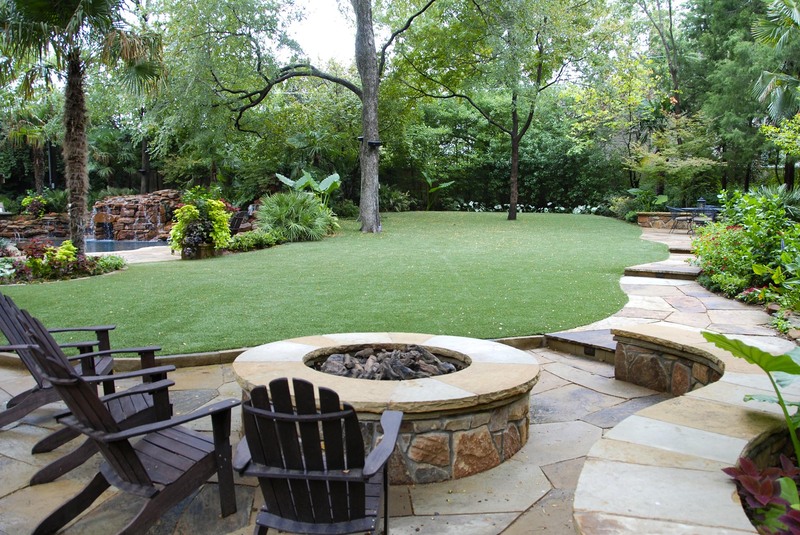 Two stone fire pits expand the outdoor living. 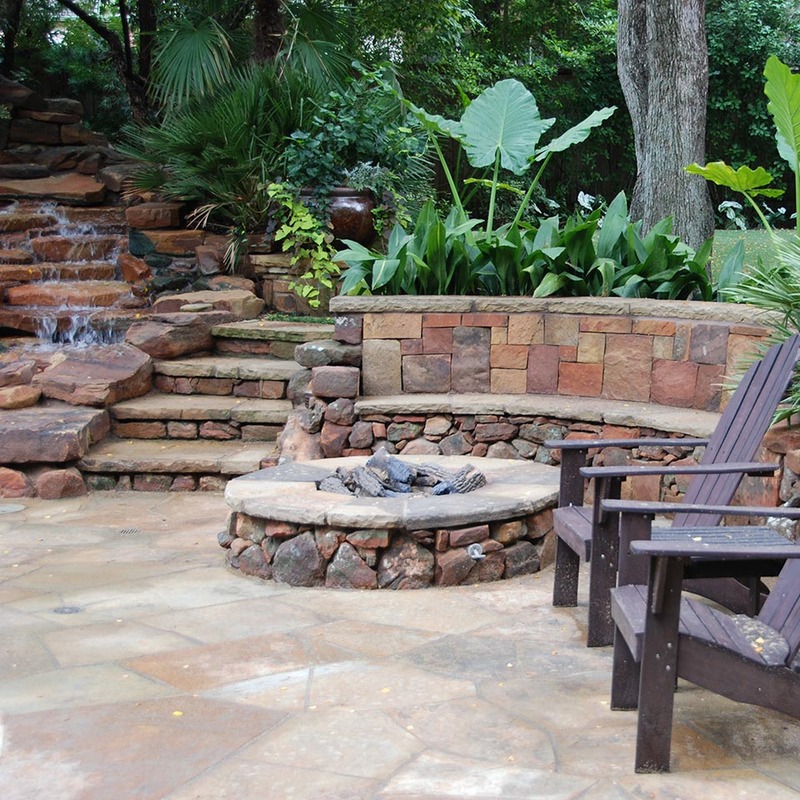 Curvilinear mossy stone seating walls allow guests to relax in different places in the garden. 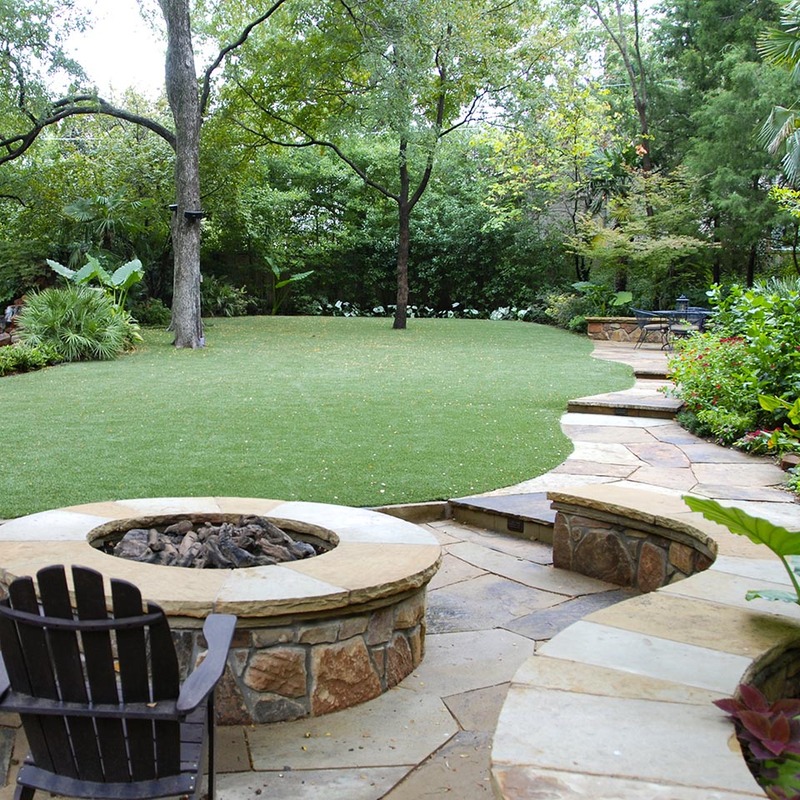 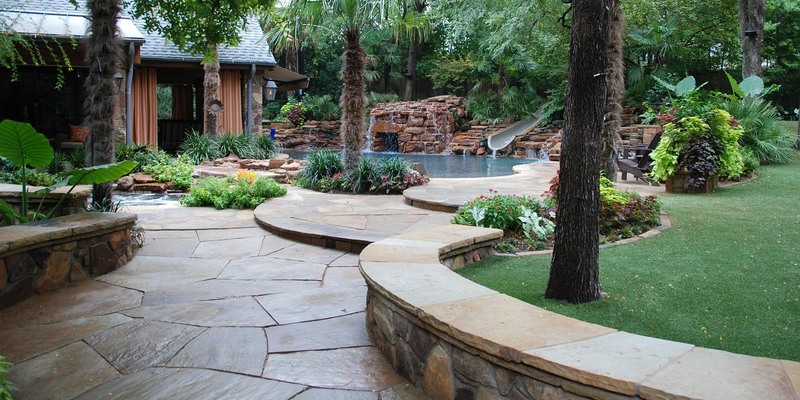 Other landscape features include flagstone pathways and patios, an artificial turf meadow perfect for youth sports, a natural river rock stream and lush landscape foliage throughout the garden.